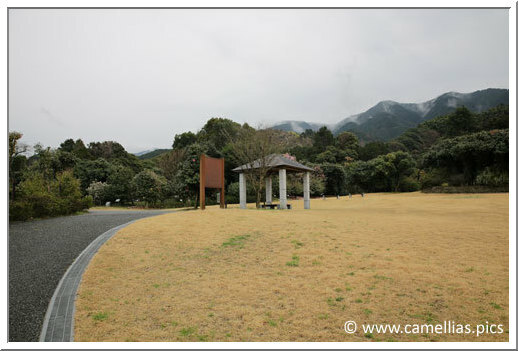 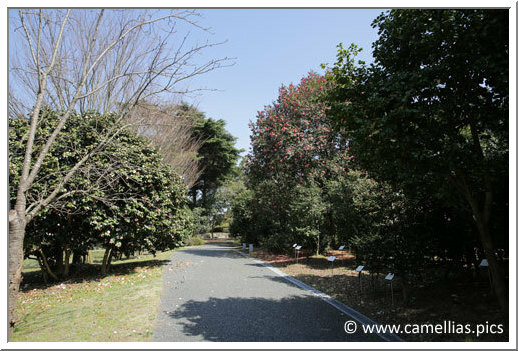 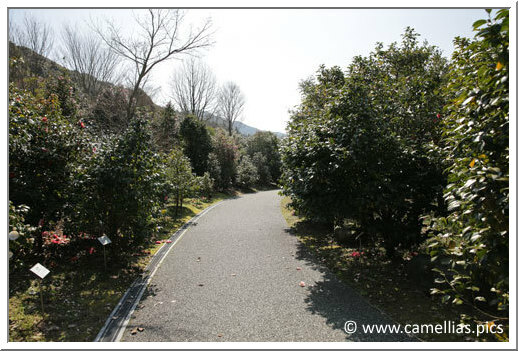 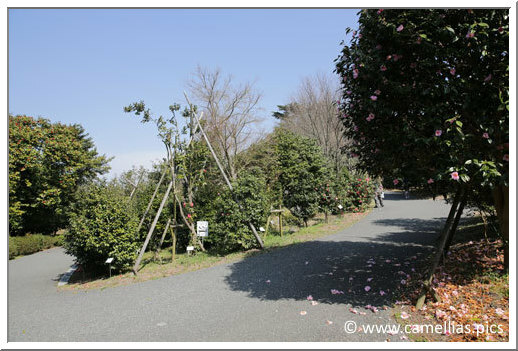 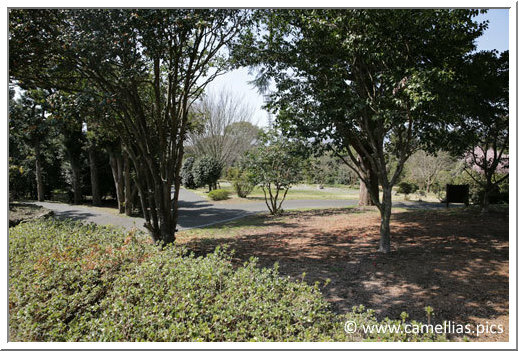 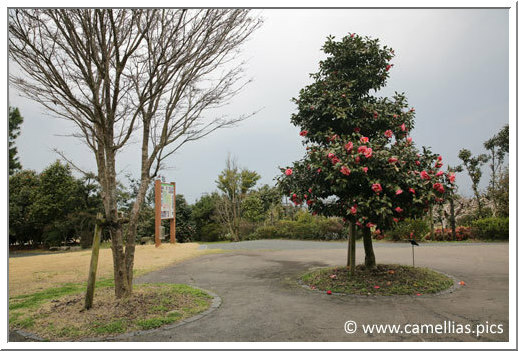 In Kusano-machi (Kurume), our last Visit was for the Kurume Camellias Garden. 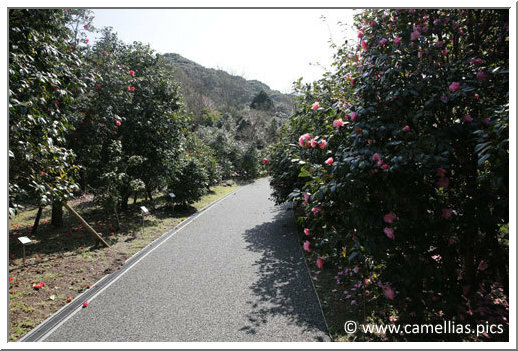 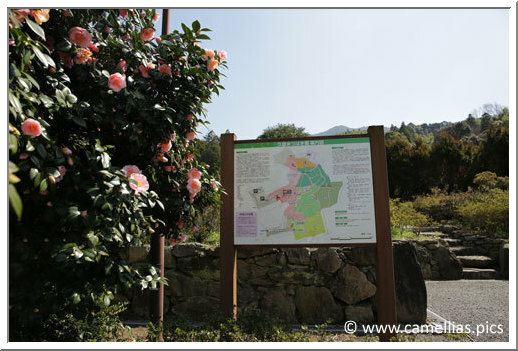 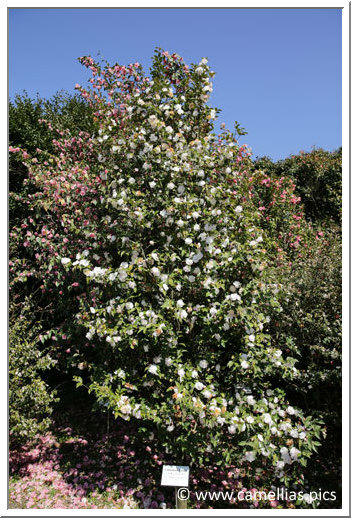 It covers three hectares and includes 2 000 camellias, 500 cultivars and species. 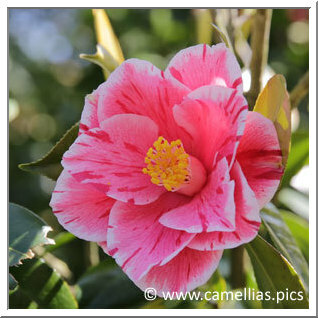 The garden was created and opened in 2009 on an ancient site, where camellias were already cultivated. 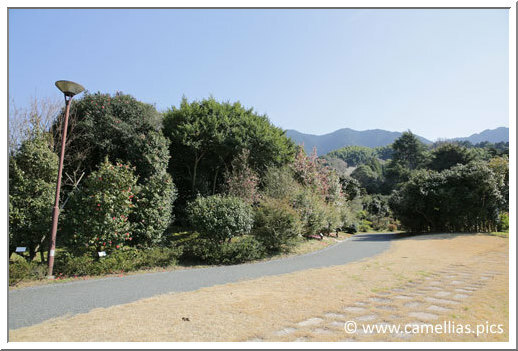 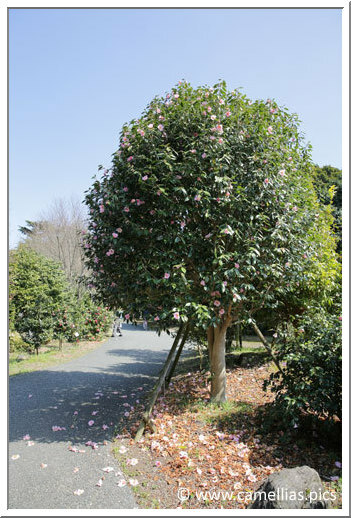 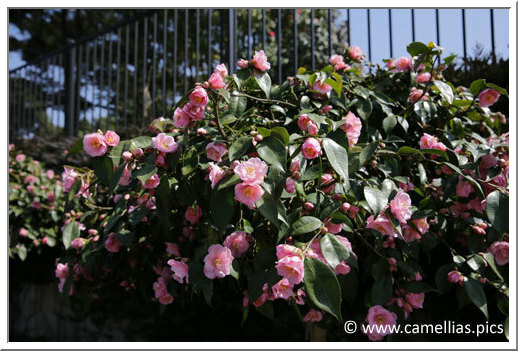 Centenarians camellias, including 'Masayoshi', have of course been retained. 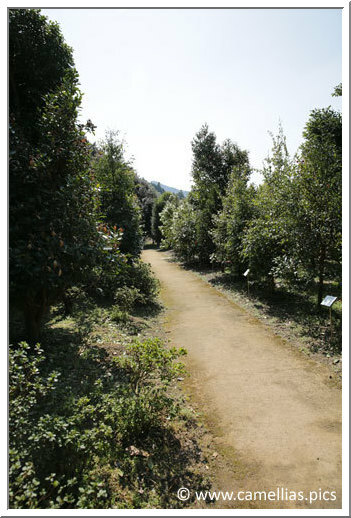 Local production was added to enrich the collection. 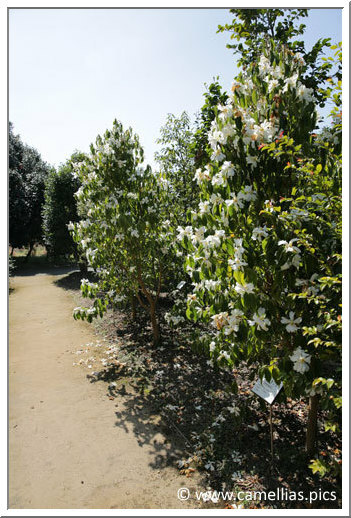 It is a conservatory, the collection is very rich and varied. 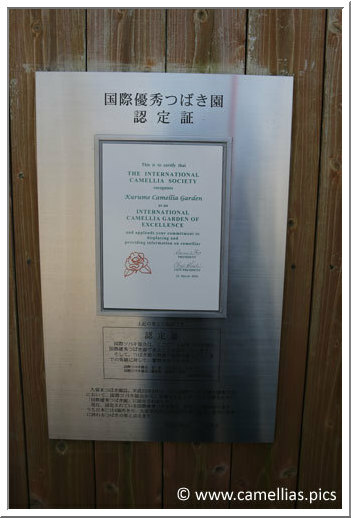 It was recognized as a Garden of Excellence by the ICS. 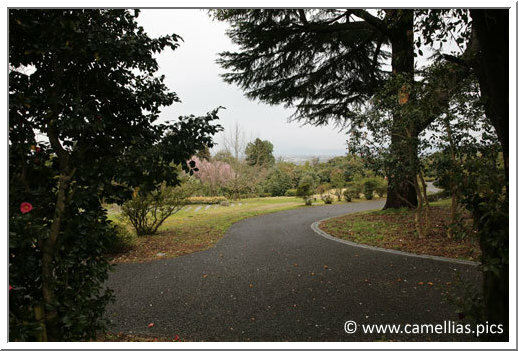 Access is free, every day and easily accessible by bus from Kurume. 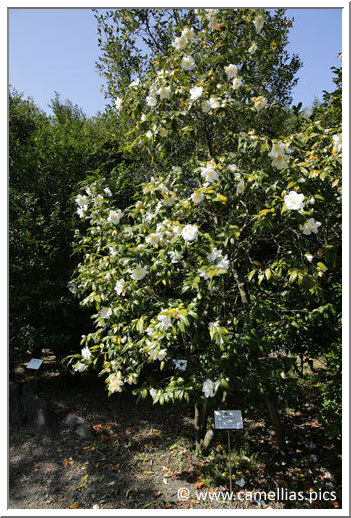 You can also admire, in season, azaleas and rhododendrons. 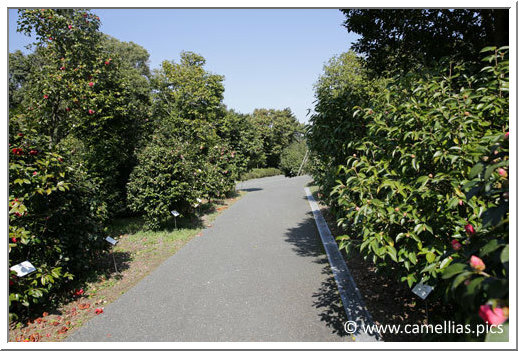 The garden is divided into zones, to facilitate the visit. 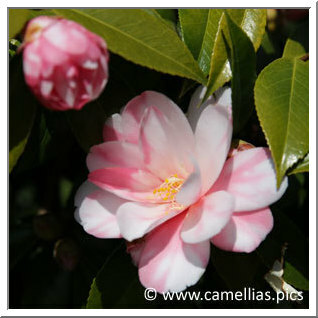 Here is a beautiful 'Shibori-renge', an hybrid, originated in Kurume. 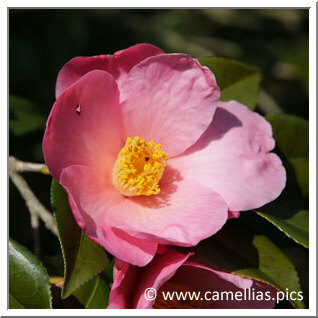 Below an aisle where there are wild camellias. 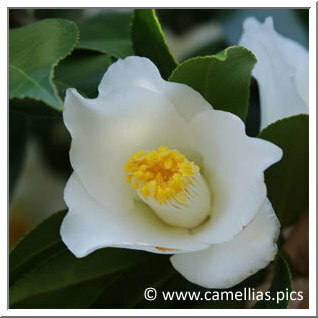 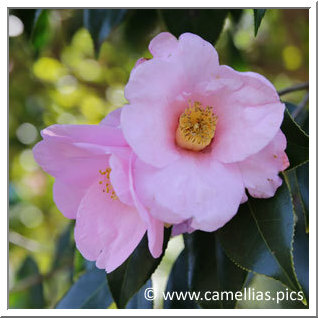 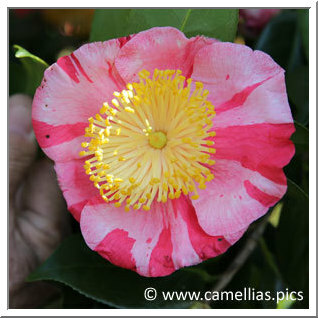 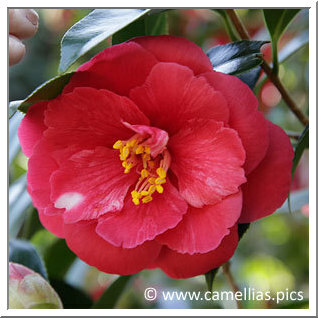 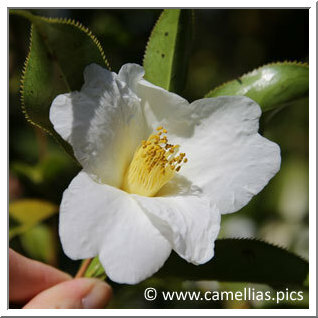 There are also camellias from other countries, as 'Cinnamon Cindy' above. 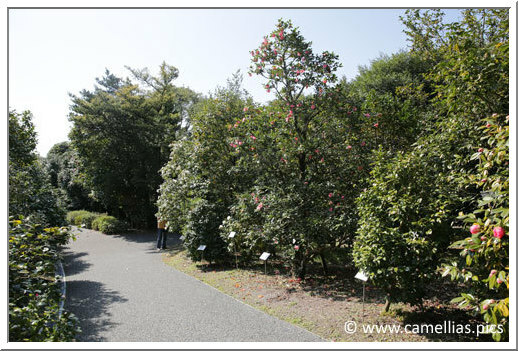 To conclude the visit, we find, of course, 'Masayoshi'.